Treasure hunting in the woods. A lit bonfire, five sticks, seven assorted stones, one leaf. No sticks (all chewed by dog), no bonfire, (too big and fire safety hazard to move and transport in car), no leaf (too boring). 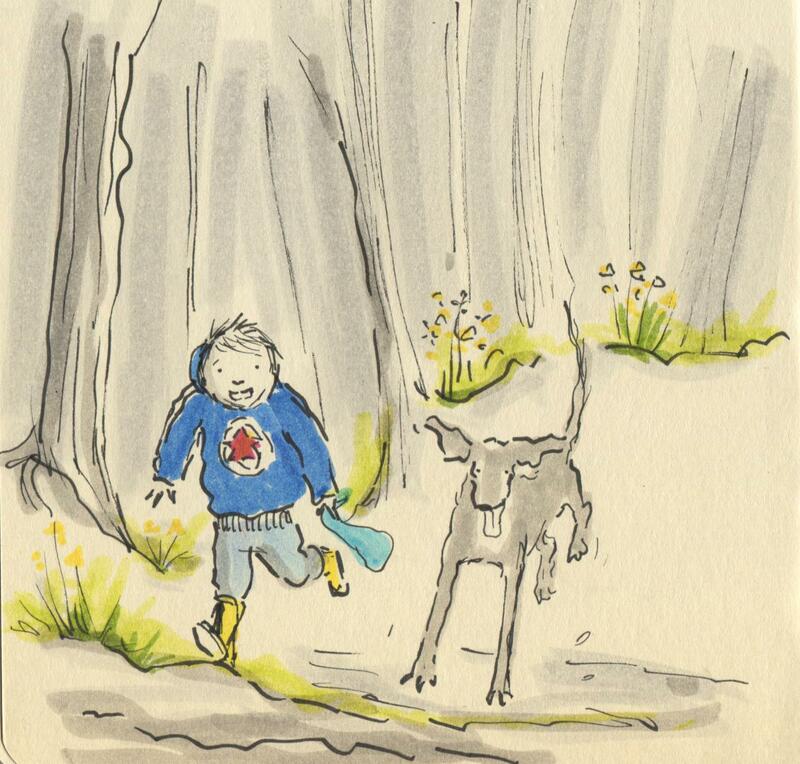 Posted on April 1, 2014, in Uncategorized and tagged Children, Dogs, Doodlemum, Drawing, Family, Humour, Illustration, Life, Pen and Ink, penllergaer woods, Sketchbook. Bookmark the permalink. 3 Comments. What an exciting time, beautifully captured, thank you. Bonnie looks equally happy……..but no ball or stick? Did she chew ALL the sticks in the wood? !